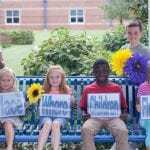 In order to spread knowledge of innovative and successful school practices, the National Blue Ribbon Schools program profiles a number of schools from each year’s cohort. Stories are added as they are produced. Still Making the Grade showcases the Brooklyn (NY) School for Global Scholars, P.S. 748. Originally designed as a district-based application school for gifted and talented students, P.S. 748 featured a self-created and evolving curriculum that used project-based learning and departmentalized, interdisciplinary learning to prepare global citizens for the future. It opened in 2010. Two years ago District 20 re-defined P.S. 748 as a zoned, neighborhood school. As G&T students aged out, a new and more diverse student body replaced them. The shift in students was due to overcrowding; their ongoing excellence was due to a stellar staff who coupled high expectations with targeted supports. Game Changer tells the story of the struggling White Street School in Springfield, MA, where “demographics” had been the steady explanation for low student achievement. Families were reluctant to send their children to a school where only 4% of fifth graders scored Proficient in any subject. In 2010, the State Education Department had singled the school out for takeover if it couldn’t improve. Three years into a stalled turnaround effort, a small team of passionate educators who had recently moved a similarly situated school from Struggling to Excellent arrived at White Street to effect change. Within two years, the State re-classified White Street as Excellent. Families are coming back. 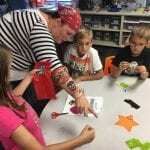 Teaching with Art and Heart highlights the resources a dedicated principal has secured for the 700-plus students in her rural South Carolina school, Skyland Elementary. For more than two decades, Dr. Carolyn Styles has created a thriving community of passionate educators and young scholars. In addition to identifying and remediating students’ educational gaps and serving as a resource for their families, Skyland uses the arts as a powerful tool for student learning. A long-standing relationship with artists at the Peace Center in Greenville, SC, enables teachers to tap student interest and creativity by using music, dance, literature, and visual arts to engage students in challenging content. Hearts and Minds features Pinewood Elementary School in Jenison, MI, a suburb of Grand Rapids, where teachers and staff found themselves dealing with extreme student behaviors that disrupted learning. When Principal Rachael Postle-Brown and her staff adopted a “Whole School” approach to supporting positive student behaviors, a host of benefits followed. The approach has three elements: students learn Mindfulness strategies to self-soothe and invite self-reflection, while a Social Thinking curriculum helps them develop oral language skills for resolving conflict and evaluating problems, and Whole Brain Teaching engages them through physical movement and choral responses that aid students in remembering content and academic processes. An Expeditionary Learning School Takes Off in California’s Mountains presents the story of a charter school’s foundation. 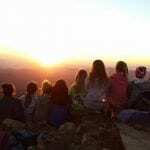 In 2008, in a small town in northern California, a dozen or so parents of preschoolers started dreaming about a different kind of elementary school and chartered SELS—the Sierra Expeditionary Learning School, in Truckee, California in March 2010. The audio clip, features Kim Bradley, a founding parent and current board member of SELS; David Manahan, the SELS Principal from the beginning, and Dr. Robert Leri, the current Superintendent of the Truckee-Tahoe School District. College Readiness Through Mastery Learning and Teaching describes strategies used by a successful high school. University Academy Upper School is a 9-12 high school located in Kansas City, Missouri and is on a mission to prepare students, not only for college admission, but also for college success. With a high school graduation rate of 100%, this mission-focused public charter high school located in an urban center is seeing results. What’s the secret? In the podcast, Principal Clement Ukaoma describes UA’s approach and points to the Mastery Learning and Teaching Protocol as the key to providing a framework that has helped students persist and achieve.